To serve you best, we will email you the dealers closest to your address. * Characters in image not the same. 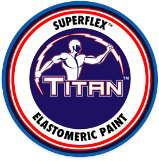 Copyright © 2014 Superflex Titan Elastomeric Paint. All Rights Reserved.